Social Value Investing presents a new way to approach some of society's most difficult and intractable challenges. Although many of our world's problems may seem too great and too complex to solve -- inequality, climate change, affordable housing, corruption, healthcare, food insecurity -- solutions to these challenges do exist, and will be found through new partnerships bringing together leaders from the public, private, and philanthropic sectors. 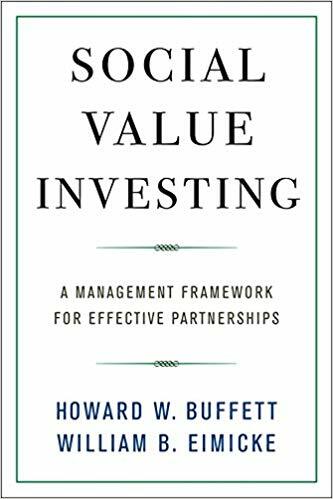 In their new book, Howard W. Buffett and William B. Eimicke present a five-point management framework for developing and measuring the success of such partnerships. 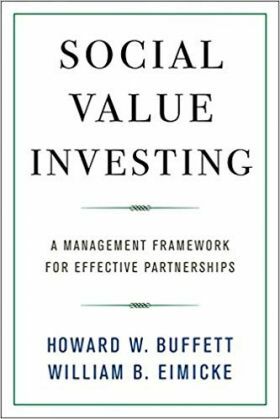 Inspired by value investing -- one of history's most successful investment paradigms -- this framework provides tools to maximize collaborative efficiency and positive social impact, so that major public programs can deliver innovative, inclusive, and long-lasting solutions. It also offers practical insights for any private sector CEO, public sector administrator, or nonprofit manager hoping to build successful cross-sector collaborations. Social Value Investing tells the compelling stories of cross-sector partnerships from around the world -- Central Park and the High Line in New York City, community-led economic development in Afghanistan, and improved public services in cities across Brazil. Drawing on lessons and observations from a broad selections of collaborations, this book combines real life stories with detailed analysis, resulting in a blueprint for effective, sustainable partnerships that serve the public interest. Readers also gain access to original, academic case material and professionally produced video documentaries for every major partnerships profiled -- bringing to life the people and stories in a way that few other business or management books have done.